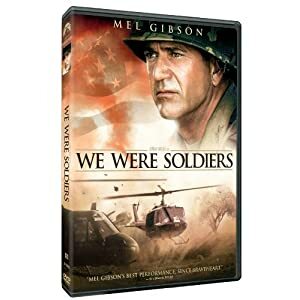 We Were Soldiers is a war film that relives the triumphs and tragedies of armed conflict during the Vietnam War. The movie is very realistic and superbly written. You can feel the emotions that every soldier feels while in combat, and you get to witness what the soldiers' wives are going through back home. Be prepared for some amazing battles that will make you feel real fear for your life. This is a portrayal of what happened in Vietnam during the first engagement between American soldiers and the North Vietnamese army. 400 inexperienced soldiers were encircled and outnumbered by the enemy, yet they valiantly did what they were trained to do. The battle ended bitterly and created its very own American heroes. Yes i am agree with you guys , Gifts make strong our relationship . We should follow your advice because its really good for our self. Please keep posting. This movie is a classic! This is my dad’s favorite movie…well actually, he loves all Mel Gibson movies! I got this, together with the Patriot, and gave it to him as my Father’s Day gift. He absolutely loved it! I was so happy to see and hear him appreciate my gifts.